Love Your Audience (A Valentine from a Rabbi) - Communicate! Do you know what hurts me? Rabbi Levi Yitzhak of Berdichev in the Ukraine, used to say that he had discovered the meaning of love from a drunken peasant. 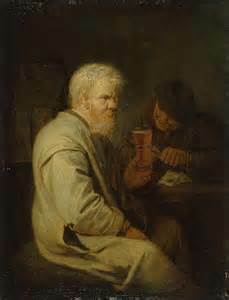 The rabbi was visiting the owner of a tavern in the Polish countryside. As he walked in, he saw two peasants at a table. Both were gloriously in their cups. Arms around each other, they were protesting how much each loved the other. Love your audience. Know what hurts them. Know what excites them, frightens them, makes them happy, makes them proud. Know what they want and what they detest. Love your audience and you will frame messages just for them. They won’t read your messages if they don’t feel the love.